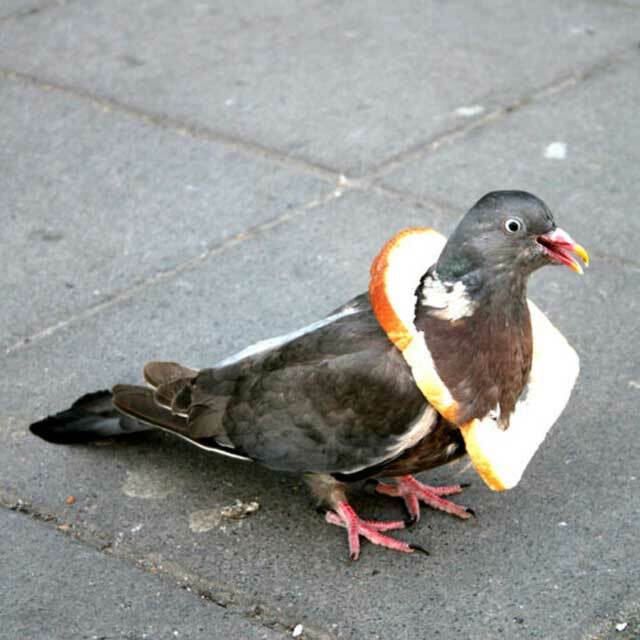 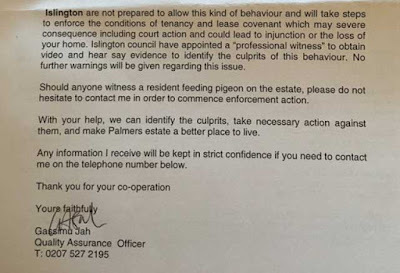 Town hall officials apparently threatened to evict council tenants because they had been feeding pigeons. 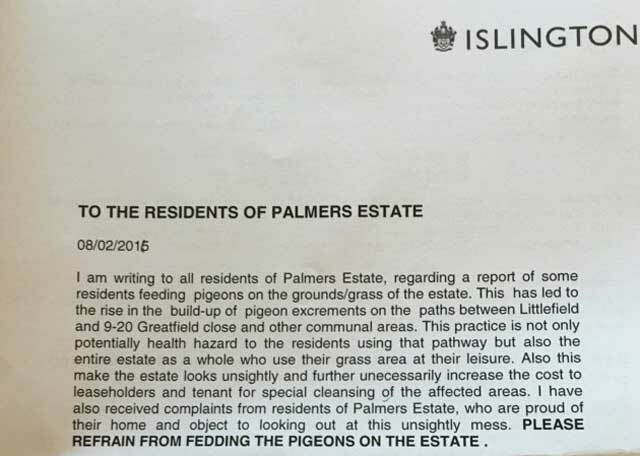 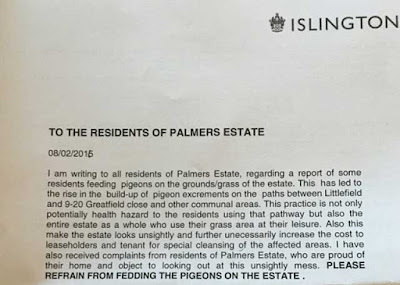 But Islington council in north London claims the note was delivered around the Palmer estate “in error”, and has launched an investigation into its “clearly inappropriate” content. 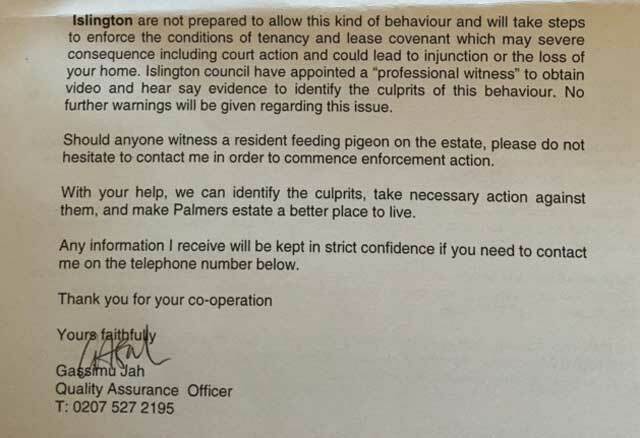 The menacing letter, purporting to be from “quality assurance officer” Gassimu Jah, is littered with grammatical errors and orders residents to stop fedding [sic] pigeons due to a build-up of excrement.